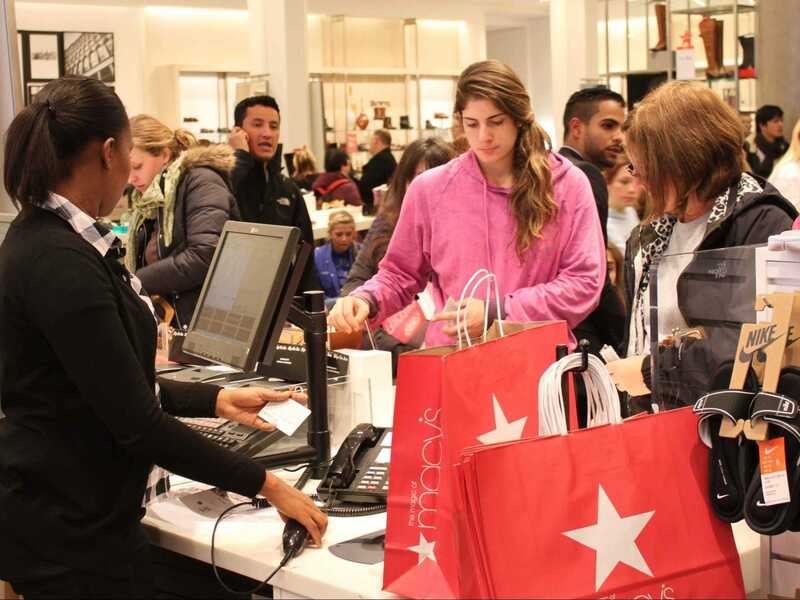 Macy’s has cut its earnings and sales outlook after a disappointing third quarter. The retailer posted a third quarter profit of $US217 million, or 61 cents a share, up from $US177 million, or 47 cents a share, the previous year. Revenue declined 1.3% to $US6.2 billion and same-store sales fell 0.7% including departments licensed to third parties. Wall Street had expected earnings of 50 cents a share on revenue of $US6.34 billion. Macy’s now expects earnings of between $US4.25 and $US4.35 a share for the year, down from $US4.40 to $US4.50 a share. The company also lowered its same-store sales growth forecast from 1.5% to 2% down to 0.7% to 1%. Lundgren warned in September that consumer confidence has been lower than he expected this year. “The consumer has not bounced back with the confidence that we were all looking for,” Lundgren said at Goldman Sachs’ Annual Retail Conference. He said he doesn’t expect things to improve during the holiday season. “The performance I think we had in the second quarter, and we expect to have in the second half, is going to be a continuation of what we’ve been able to do over the last several years — and that is to capture market share and get the most out of the consumers that are in our stores,” he said.